It’s about time Wisma Putra took stock of the malaise inflicting the ministry in order to forge ahead in safeguarding and promoting our national interests abroad. Wisma Putra has been getting some attention in the local press; unfortunately, it is mostly negative. Some of the comments have been petty while others raise important questions. Foreign Minister Datuk Anifah Aman’s statement that he is open to criticism is a good beginning. The trouble is we have been on autopilot for too long. We tend to nostalgically look back to the days of the great men of Wisma Putra like Tan Sri Zainal Sulong, Tan Sri Razali Ismail, Datuk Bertie Talalla, Tan Sri Lim Teik Choon and the likes, but do little to prepare the next generation of great ambassadors. 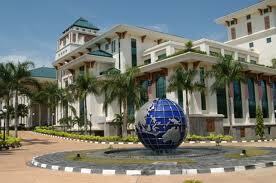 However, the unhappy state of affairs in Wisma Putra must not be seen in isolation. If anything, it is emblematic of a wider malaise. Take the low level of English language proficiency in the ministry. It is indeed a serious problem but why blame Wisma Putra for the failure of our education system to turn out graduates with at least a decent standard of English? Wisma Putra also does not have complete control over the recruitment process. There is fierce competition among ministries for those who are considered good; the mediocre and the inept are distributed indifferently throughout the civil service. Again, don’t blame Wisma Putra if there are mediocre officers; it has to make do with what it gets. And then there is the system of promotions, which is in shambles. Despite the emphasis on performance, seniority still rules, and riles. Unfortunately, we have not yet found a fair and equitable system of accurately assessing performance, so personalities come into play. There is a reluctance too within Wisma Putra, and the entire civil service system for that matter, to penalise the non-performers or those who have been guilty of serious misconduct. Worse still, good officers (and there are many) are often not given recognition and avenues for advancement. Many talented and capable officers end up frustrated and disillusioned. The bureaucracy has a way of smothering enthusiasm and stifling creativity. As well, an emphasis on ethnic preferences also means we are not always able to put the best person forward. Good officers languish for years in inconsequential assignments as a result. Our Chief Secretary to the Government Tan Sri Sidek Hassan, one of the best we have had so far, has taken some bold initiatives to overcome these problems but it is an uphill battle to change the culture of the civil service. I hope he stays long enough to effect the kind of change the civil service needs. Over the years, there has also been a breakdown in consensus regarding the role of our ambassadors. It used to be that the ambassador was invested with the authority to manage the overall relationship in the country he was accredited to. He was not expected to be an expert in everything (there were specialists and advisors for that); his role was to provide leadership to our overall representation and speak authoritatively on behalf of the government. This is no longer the case. In-fighting among ministries, often rooted in rivalry amongst ministers themselves, has seriously weakened our representation abroad. At times, our ambassadors are deliberately kept out of the loop because of petty inter-agency rivalries. And some of these agencies are poor performers as well, even though they have much bigger operational allocations. It is really hurting our effectiveness. So yes, we need more effective and well rounded ambassadors but we also need to overhaul the very way we do business at home and abroad. Given the present malaise at Wisma Putra, it is tempting to appoint politicians and officers from other ministries to helm our diplomatic missions. While they undoubtedly bring certain strengths to the job, they lack the exposure, experience and training to be truly effective ambassadors. For that reason, most countries have learned that there is no substitute for a professional foreign service. If Wisma Putra is to continue as the premier agency entrusted with safeguarding and promoting our national interests abroad, there has to be a major overhaul, organisationally as well as conceptually. The creation of a separate foreign service, distinct from the rest of the civil service, might have to be considered. There is too much at stake for half-measures. Hopefully, our Foreign Minister will provide the leadership that is urgently needed to overhaul the ministry and inspire our officers to greatness again. The fact that this task now falls to a politician is itself a reflection of how much the civil service has changed but that is another story. The upcoming heads of mission conference this month might provide the occasion to spark real discussion and debate on how to make Wisma Putra synonymous with all that is best and great about Malaysia. It is an opportunity that must not be missed.